Automatic GCC spec Lexus IS 200 with 16 inch wheels, MP3 interface, cooled front seats, tan interior, white exterior. Imported spec vehicle with 4 cylinder engine, red interior and automatic transmission. GCC spec vehicle with 6 cylinder engine, red interior and automatic transmission. Imported spec Lexus IS 250 with Power locks, 18″ wheels and CD player. Price reduced! AED 89,900 for this GCC spec, white 6 cylinder sedan with grey interior. It has performance tyres and power seats. 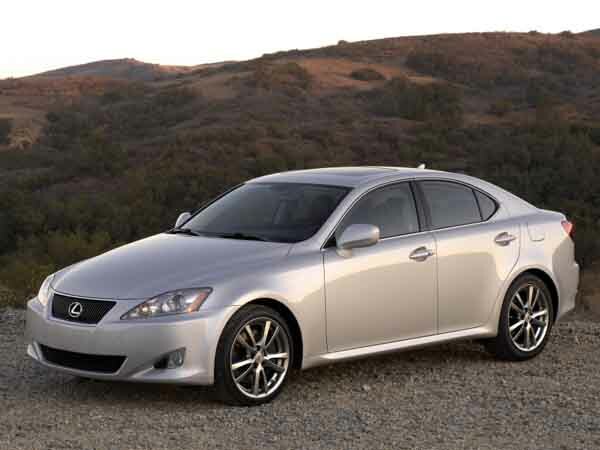 Automatic 2013 Lexus IS 300 with 17 inch wheels, power windows, power seats, brown interior, black exterior. GCC spec. 4 cylinder white 2017 sedan. Tan interior. Parking sensor front, 17 inch wheels and parking sensor rear. 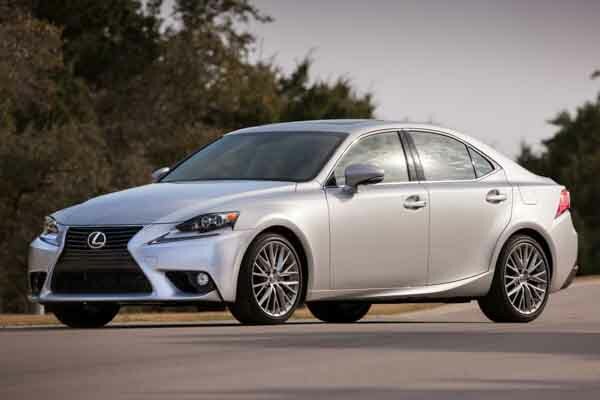 2014 Lexus IS 250 price AED 63,000, with CD player, power windows, tuner/radio. It has red interior and is Grey/Silver. Automatic, 18 inch wheels, ABS, airbags (front and side), beige interior, red exterior. Price: AED 67,000. Opportunity! A 2015 white Lexus IS 250 now available at a reduced price. Automatic, 16 inch wheels, parking sensor front, parking sensor rear, beige interior, white exterior. Price: AED 105,000. 2008 Lexus IS 300 with Cruise control, 18″ wheels and Navigation system. Price reduced! White sedan, tan on the inside with power windows and airbags (front and side). 18″ wheels. Automatic Lexus IS 200 with 16 inch wheels, CD player, cruise control, white on the outside, white interior. Abdul - Pre-owned Lexus IS 300 are fantastic cars, it has all the options I need, it’s comfortable and in my opinion I think it looks the best in the entire Lexus lineup. If you want to buy a Lexus sedan get an IS! Pros: Features, style and comfortable. Cons: Rear legroom is small. Andy - My second hand IS 200t is the best entry level sedan. It may have a small engine but the interior specs are unlike any other cars in the same class. Pros: Options and unmatched in its class. Kareem - Nothing can beat a Lexus IS-F, amazing looks, powerful engine and the interior is excellent only one problem is it’s price when new! Glad I found a used one for a good price. Pros: V8 power, quick and styling. Any Lexus is famous in the UAE; you’ll no doubt find a buyer in no time if you want to part ways with yours. There are a variety of engines to choose from ranging from a fuel efficient inline four cylinders to a larger and more potent V8 engine. Luxury galore. Even base models have incredibly luxurious features to stack up against any of its rivals. Over the years only a rear-wheel drivetrain was available, however, in new generations, an all-wheel drivetrain is available, mostly in export markets. Compared to its rivals, it makes quite the impact when it comes to presentation. Launching in 1998 and spanning three generations, the Lexus IS series cars are the Japanese manufacturers entry-level vehicles of the entire range. As Lexus doesn't sell any cars in its homeland, the Lexus IS series is known at the Toyota Altezza. Proving to be popular around the world and here in the UAE, if you are looking to buy used IS 250 in Dubai, UAE it's incredibly easy to find one. Entering its first generation, it doesn’t turn any heads nowadays, however back in the day it may have cause some severe neck strain. These models are few and far between in the UAE. Standard features consist of fabric seats, radio tuner and basic power accessories. Extra options include leather seats, CD player, sunroof, pop-up navigation system, climate control and power seats. Two versions are available in these years; IS 200 with a 2.0-litre inline six cylinder motor mated to either a 6-speed manual or 4-speed automatic and the IS 300 with a 3.0-litre inline six cylinder engine coupled with a 5-speed manual or automatic. An IS 430 concept model was shown off at the 2003 SEMA show, equipped with a 4.3-litre V8 motor it was never put into production, and only one prototype was made. Mostly seen as a sedan, in Japan a hatchback version is available. 2004 models have a new front end complete with grille, headlights and fog lamps and new rims. Inside adjustments were made to the dashboard, seats and internal locking system. Looking to buy a second hand lexus is 300 for sale in Dubai, UAE or any other IS series? Prices start at AED 16,000 AED. In 2005, new exterior styling and a revamped interior bring the IS series into its second generation. An additional body style was added for more variety. Many of the standard and other extras stayed onboard for another few years. Leather seats came standard in higher trims as did navigation, keyless start, Bluetooth pairing, cruise control, premium sound system, ventilated seats and sunroof. 2009 models have a different look prominently visible on the front end. 2010 saw the Japanese manufacturer add F Sport models as stock units on top of being an additional package. This generation comprises of the IS 250, IS 300, IS 350 sedan models and the IS 250 C, IS 300 C and IS 350 C, convertible models. Either a 2.5, 3.0 or 3.5-litre V6 powers the rear wheels (all wheel drive is available as an import) via a 6-speed automatic transmission. A high-performance model was introduced in this generation; the IS F had the same body with some minor changes for a unique look but identical interior features to top trim levels. There are select body colours and interior schemes that are specifically available to this model. Underneath the bonnet is a 5.0-litre V8 motor generating 417 horsepower. Looking for a pre owned Lexus IS250 for sale in Dubai, UAE or any other IS series vehicle in this generation? Prices start at AED 31,000. Gone is the reserved body styling as 2014 models feature a much more flamboyant body style with many of the features from the years before remaining as standard or additional features. Keyless go, sunroof, rear spoiler, reverse camera, parking sensors and adaptive cruise control all joined the standard list. The F Sport package returns and adds unique trim parts to the exterior, paint, upholstery, 18-inch alloys, leather, wrapped steering wheel and shift knob and various other bits. F Sport adds no performance benefits. The sedan models return whereas the convertible models are not available in these years, neither are the IS F Models in this generation; IS 200t with a 2.0-litre inline four cylinder, IS 250 equipped with a 2.5-litre V6, IS 300 and IS 350 both powered by a 3.5-liver V6. Power is sent to either the rear wheels or rear wheels via an 8-speed or 6-speed automatic transmission.